You have many choices when it comes to healthcare and we appreciate how overwhelming it can be to choose the right Chiropractor. A doctor who will listen attentively and treat you with the respect you deserve. Dr. Fuller's goal is to increase your mobility and reduce your pain in the shortest amount of time possible. What is Low Level Laser? Dr. Fuller utilizes a variety of different chiropractic techniques to personalize the treatment of each and every one of his patients. Techniques such as Diversified, Gonstead, Thompson, Mally Extremity, as well as instrument assisted adjusting for those patients who prefer a low force manipulation allow him to accommodate many different preferences. His many years of experience allows him to provide effective yet comfortable chiropractic care. As a chiropractor with over 30 years of experience, he has seen excellent results in improving the quality of life for his patients and with his additional training in physical therapy and sports medicine, he also treats patients with a myriad of sports injuries and other musculoskeletal conditions such as pain or injuries involving the foot, ankle, knee, hip, shoulder, elbow, wrist, and hand. Additionally, because we offer neutracetuicals, low level laser therapy, and detoxification footbaths, we are able to provide effective treatment to patients suffering from many other conditions including disc problems, sciatica, chronic pain, gastrointestinal complaints, osteopenia, and elevated cholesterol. When the body isn't functioning properly whether due to injury or just continuous poor posture, the cells are damaged and fail to function within normal parameters. 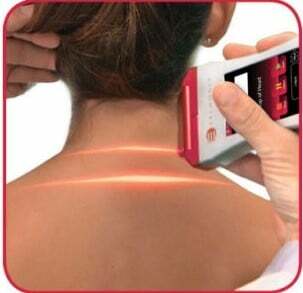 The Erchonia Low Level Laser utilizes phototherapy to penetrate deeply into the skin and thereby restoring this abnormal function. The most common use for laser in our office is restoring normal strength to weakened muscle groups that has occurred by injury or by abnormal movement patterns. Many of our patients discover that upon being tested with the laser, they have weak muscle groups in their core, lower back, neck and shoulders they were completely unaware of. These weaknesses ultimately lead to pain and strain points in the spine, extremities and even the jaw. Although the Laser Therapy Protocol is 8 treatments, many of our patients notice major changes after their first treatment. Once the body is functioning at a more optimum level, core stability is restored and range of motion is increased. Some of our patients describe better coordination and balance and a sense of "better control over their movements" and since the Laser works on a cellular level and is fully programmable, we have seen excellent results with reducing inflammation due to sprains/strains and even surgery incisions. 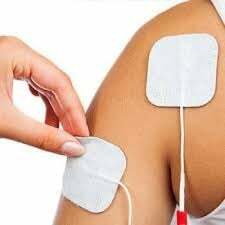 Electrical Muscle Stimulation therapy involves lower levels of electrical impulses administered to muscle spasms or painful tissues to reduce pain and inflammation to speed the body's healing process. These impulses stimulate the body to increase circulation and release natural pain relievers, called endorphins. Most patients describe EMS as a pleasant tingling sensation. This therapy is often used to treat acute or chronic pain as well as strain or sprains of the muscles, joints, and soft tissues of the spine and extremities. 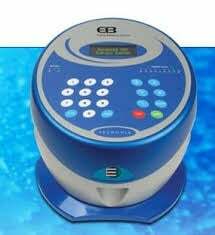 The Erchonia EBPro Ion Therapy system was designed to help enhance your body's natural detoxification process. A waterbath is used in conjunction with a metal array to create an ionic field. By immersing the feet into the water, an electrical contact is made with all of the primary meridians in the body. These meridians are one of several pathways for toxins released to exit the body. Many of our patients report feeling more energetic and "lighter" in their feet and legs after an ion footbath. This type of therapy can be effective for fatigue, skin conditions, a stronger immune system, and mental clarity.